No matter who you are or what your background is, everyone knows the hassle behind trying to arrange your home into looking more spacious. Unfortunately, many homes have rooms that just can’t help being smaller than others. Making your house feel a little off. Thankfully though there are some fantastic tips and tricks available that can help make any room appear twice its size. 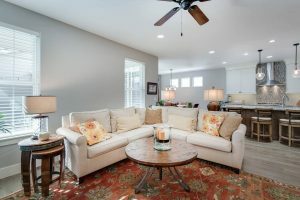 Here, we have sourced the best and easiest little changes to make to any room in your home look larger and more spacious. Make sure that in the daylight hours, you take advantage of the sun. Keeping your curtains or blinds open most of the day will help give the room a new dimension of openness that it has not had available previously. Letting in the natural light also saves on your electricity bill in the daytime so there is another win for you. What really helps to give a room a more open feel, is to make it so that everything in the room follows a simple and neutral color palette. Staying within the range of a bright color scheme helps gives any given room a sense of unity. This, plus the addition of natural light, will make your rooms look larger than life, for less. You need to work with the space that you have access to. Yet, you also need to add to this space to make it livable and useful. A living room is not worth living in without seating. But when you add in your furniture, sofas and armchairs, or your television and its stand, the room starts to look awful full and cramped. A simple way to add the illusion of a little more space to any room is to pull your furniture away from the walls by at least three inches. Not having your furniture forced all the way to the walls of the room adds depth. Allows the room to breathe. Though it may seem like it is cheating, adding a mirror to a room can do wonders to the illusion of space. Even if you just get the one large framed mirror and have it hung over your mantle place or on a wide bare wall, your room will have the feel of more space. If you add a full size standing mirror, it will add the same illusion effect and become incredibly useful for your day to day style choices. 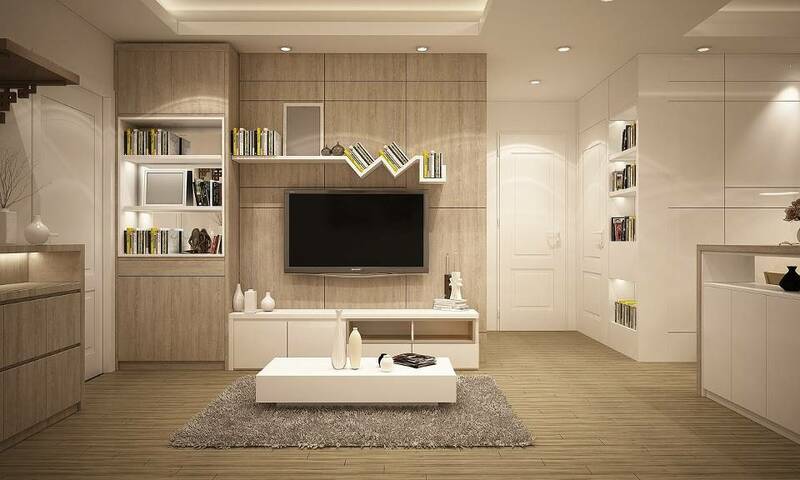 Having furniture that doubles as smaller storage units can be incredibly useful for use in any room. 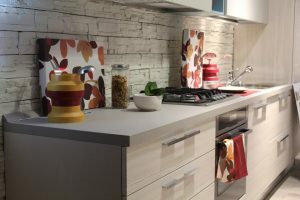 There is a fantastic range of furniture available on the market that contain secret compartments that hold a lot of storage space for whatever you need storing away. This helps rid your rooms of clutter and the debris of the day discreetly. Installing shelves help to upgrade the storage capacity of any room and they help to draw the eyes of any visitors that should visit. Showing the books the books your read, the memories you cherish, and the films you love to the world. When you come to install some shelves to your room, think about raising their height closer to the ceiling of the room they are in. This brings the eyes up and gives the illusion of more space in your room. The one thing that draws the eye, in any room, is the overhead light fixture. This low hanging installation supplies all the light within the room, so naturally it takes up a lot of attention, and uncovers how small the room actually is. Whether you realize this or not, it is a problem. Instead, invest in some sconces or lamps to use around the rooms of your home. 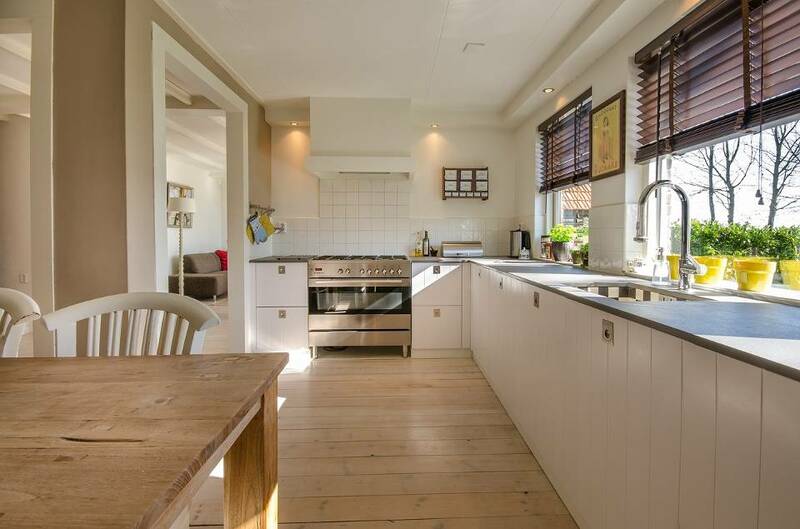 This scattered light affect gives the look of a much larger space. If you are going to use this trick, it is probably best to use the higher shelving spaces tip as well. This will give the eyes of anyone who enters the room a lot to take in. 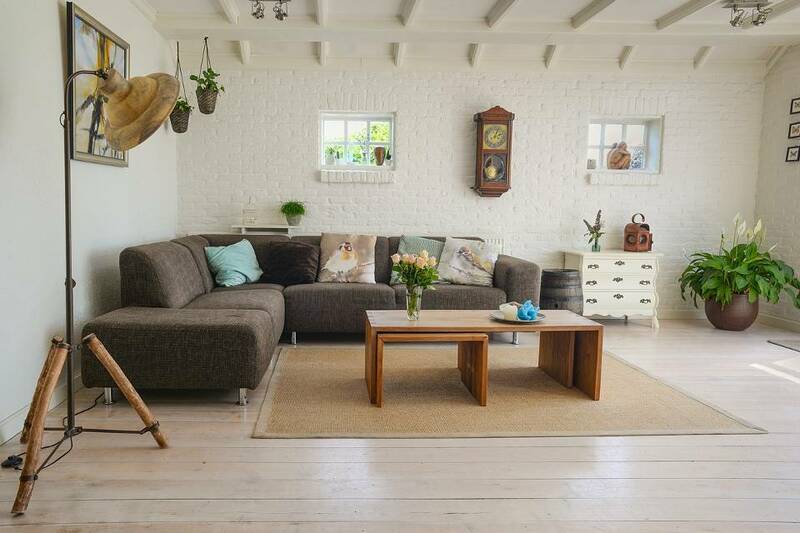 As well as looking into the possibility of furniture that can double as storage space, it would be useful to look into furniture that you can fold away also. A dining table that is made to become smaller or larger when you need it to be, is a perfect example of this. A piece that folds away when no one is using it. Perfect. When on the lookout for seating area pieces or chests of drawers for your home, try and look for items that expose their legs. 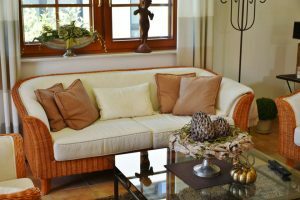 A sofa or a seat without a trim running along the bottom to hide what is keeping them standing gives the floors of your home an almost unison look as it is not being cut off by anything. This also makes cleaning your floors easier and adds an elegant tone to any room that you place the furniture in. Though this tip seems counter intuitive to actually helping make the rooms in your home look bigger, but trust us. If you have a particularly small bedroom in your house put thought into filling it with a large bed and working a made to fit storage unit into the room. Filling the space completely gives the room a larger than life feel and owning a large bed is really one of the few pleasures in life. Go big or stay home. Another way of filling up a room is adding large and expansive artwork to your walls. If you arrange the room so that the piece has no furniture obscuring it, then the room will have a very large open look to it. Hopefully from this post you have found some useful tips that will help make your home look more open and spacious. 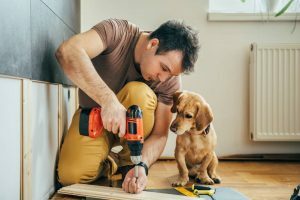 Let us know how these tips have worked out for you, or share what other ideas you have used to help make your home look larger.